Egypt condemned the terrorist attack which left tens dead and injured at an election rally in southwestern Pakistan on Friday, a statement by Egypt's Foreign ministry read. 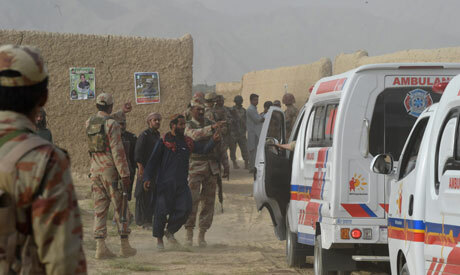 On Friday evening, a suicide bomber targeted a political rally for the newly formed Balochistan Awami Party (BAP) and other parties, killing 128 and injured 150 in the town of Mastung near the Balochistan provincial capital Quetta, in one of the deadliest terror attacks in the country's history. The terror attack was claimed by the Islamic State group. The Egyptian foreign ministry stressed that the "Egyptian government and people will stand with the government and people of Pakistan in the face of the phenomenon of terrorism." The statement, which was issued late on Friday, expressed sincere condolences to the families of the victims, wishing the speedy recovery for the injured. It was the latest in a string of attacks that have spurred fears of violence ahead of nationwide polls on 25 July. The statement called for the continuation of international efforts "to confront this phenomenon and root it out by all possible means, while confronting extremist ideology that have been behind the phenomenon of terrorism."